Magnus Bane, a Shadowhunters fan favorite, is certainly a mysterious character. Here are 12 things to know about your favorite warlock. Freeform’s Shadowhunters series has only done more to highlight the complexity of this character. Thanks in large part to Harry Shum Jr., who brings the creative team’s vision to life in every episode. Claiming to know everything about Magnus Bane is impossible. But knowing just a bit more about the way he lives, his history, and his peculiarities, might make for a more interesting character study as you watch series. 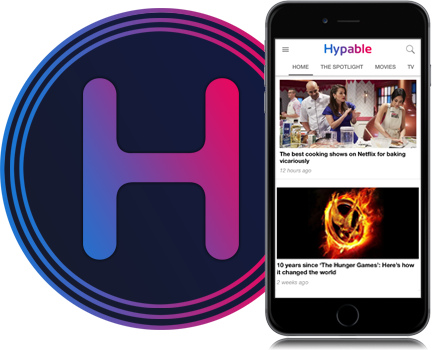 This post was updated on June 13, 2018 and contains mild spoilers through all season 3A episodes from the Freeform series. Magnus Bane is four centuries old give or take a couple decades. Over time, Magnus has changed and views the world, especially the Shadow World, differently. The Magnus we meet in The Mortal Instruments is definitely more jaded and leery of the Shadowhunters today. The life and times of Magnus Bane can fill volumes of books. And he almost does. The warlock has played a role in almost every book in Cassandra Clare’s Shadowhunter series. Even those stretching back to the 1700s. From his conception, through his most recent intimate involvement with the Shadow World, Magnus Bane has captured the interest of not only the characters in Clare’s novels, but with the wider world. In the brief glimpses we have had of Magnus so far his fashion sense is on point. Magnus is often described as wearing various fabrics of intense colors and crazy textures. This version of Magnus is no different. He also loves some glitter and crazy nail polish. Fashion is one thing, but Magnus Bane has quite a few dramatic flairs about him. Whether raising a toast or saving New York from being consumed into the depths of hell, Magnus does never does anything without his signature flare. Wielding magic is an art form and Magnus is an artist. As Shadowhunters widens the scope of the warlock world watching Magnus play against the other warlocks of Brooklyn ,and his own father, has shown not only the magnitude of his power, but the uniqueness of his abilities. Whether he is speaking his mind, preparing a quick throat remedy, or trying to figure out how the ley lines became corrupted, Magnus makes the task completely his own. Long before Alec Lightwood came into the picture, Magnus Bane was not an idle man. He traveled, met with dignitaries, rock legends, and went on a few dates. Okay, a few thousand dates. Of those, many blossomed into romantic relationships. Magnus has lived many lives. And outlived many others. From each meaningful encounter, Magnus keeps a memento, a token of those times that lives beyond the person. With life comes loss, but with loss comes the chance to love again. Magnus is not running around starting relationships with whatever crosses his path. I’m just going to leave this video right here and you’ll understand when you get to the end. Malec is the ultimate ship in The Mortal Instruments and such a fun couple. For those of you who haven’t noticed, Alec struggles with relationships, especially with those that the Shadowhunter community looks down upon. But their chemistry, even from the start is palpable. Alec is a protector. He is strong-willed, loyal to a fault, and new to love. So new, in fact, that Magnus’ history is nothing short of intimidating to this young man. But what Alec is unaware of is that Magnus’ emotional history is there to help guide them into their new beginning. Emotional maturity is not the same thing as wisdom. And Alec and Magnus are operating on two different planes. 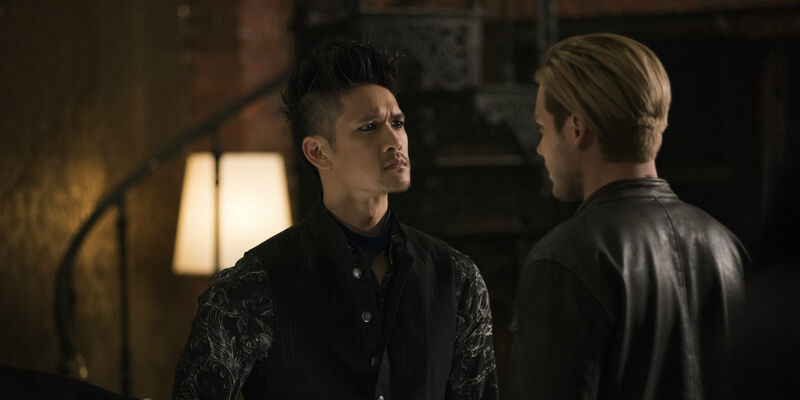 Luckily, Magnus’ ability to recognize that the while Alec is eager to advance their relationship, it may not always be in response to the right motivators. But as we’ve seen through season 3, the pair have an ability to recognize when the other needs space, when they need to be talked down from their fantasy, and when they simply just need one another. Watching this relationship blossom is as satisfying as waiting for it to take off. Magnus’ life has not been easy. He was born to human parents after his mother had an affair with a demon. Once his warlock marks began to show his parents feared him. Magnus’ mother committed suicide and his father tried to kill him when he about eight. Magnus left his home and sought out help from the Silent Brothers. This has shaped who Magnus is and intertwined him with the Shadowhunters. The latest Shadowhunters series tackles some of these issues in greater detail in season 3. This includes the details of his mother, a woman from Indonesia, conceiving Magnus after a fling with the Prince of Hell, Asmodeus. In the form of flashbacks that begin to plague the warlock, we see the consequences of Magnus’ warlock mark. Every warlock has a mark that identifies them. In Magnus’ case, his cat like eyes are what mark him as a warlock. His warlock mark didn’t show up until he was about eight years old. Magnus’ eyes are described as having pupils with vertical slits like a cat and vary between green and yellow in color. This was seen in the pilot episode when Magnus is confronted the Circle members in Pandemonium and again in flashbacks and when he is alone with Alec. Following the loss of his mother, Magnus remained with his mortal step-father who cursed the child, blaming him for his wife’s death. Magnus took action and killed his father with an outburst of anger. Magnus continued to struggle with bottled emotions, referencing almost taking his own life many centuries ago. But the people around him, those who stuck by him and reminded him that his life has purpose, that his abilities are not a burden but a gift, gave him another new beginning. His temperament, however, still needs some fine-tuning over the years. Especially when he needs to confront another warlock — most notably, Lorenzo Rey. 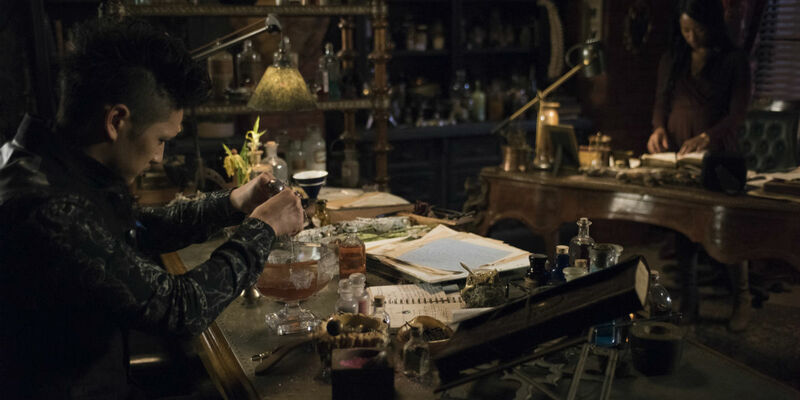 Although a burden at times, immortality has left him with few lifelong friends, including Catarina, who also lives and works in New York, and Ragnor Fell, who we meet early in the Freeform series. It has also allowed him to see quite a few Queen concerts. No specific date of birth is given in the series, the Magnus Bane of the novels is around 400 years old. Alec, however, makes reference to his ago being closer to 700 (leaving plenty more room for the 17,000 lovers to leave their mark). Watching Magnus Bane on screen, even reading about him on the pages of Clare’s novels, it’s hard to imagine he would ever be an unwelcome presence. But historically those in the Shadow World and Downworlders have not gotten along. Shadowhunters has done a great job diving into the ramifications of these tensions on screen. 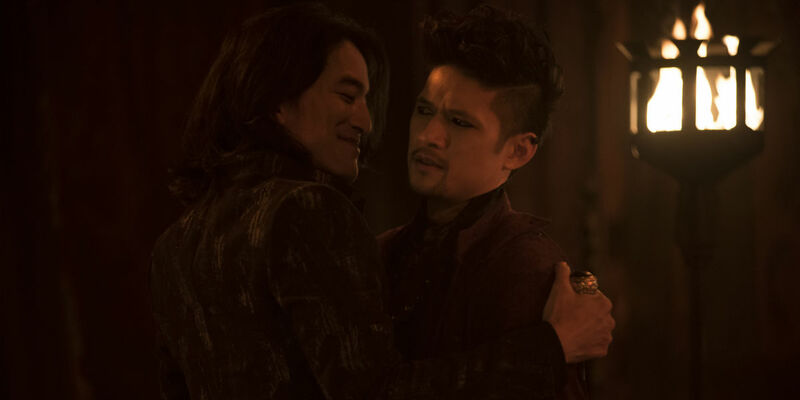 Through the relationships, both professional and personal, the series has taken a hard look at Magnus Bane’s contributions to the Shadowhunters and the grief it gets him from other warlocks. Moving to New York in the early 1900s, nearly two centuries after his own warlock discovery, Magnus took on helping another fledgling Downworlder – Raphael Santiago. Their bond, though it appears tense at times, is always grounded in mutual respect and deep care for one another. All of these events lead to the one act that serves as the catalyst for the series — taking Clary’s memories of the Shadow World away at Jocelyn’s request. Holding the position of High Warlock of Brooklyn is an honor. One that was ultimately stripped away at the start of season 3. Taking Magnus out of power, sending him back to being, in a sense, an errand boy at the beck and call of those in need, tackles another complicated story arc – his relationship to power. The idea that Magnus’ entire identity was tied to his position is ludicrous. But, over time, was part of his identity wrapped up in the title? Of course. It got him into the Institute, put his name at the top of lists for consultations, and declared to all others that his magic, diplomacy, and professionalism are top-notch. Everyone who comes to Magnus for help typically receives it. Though draining and trivial at times, he is not about to turn away anyone who is in true need. That includes the Shadowhunters, the Seelies (which turns out to be the wrong move), the werewolves, vampires, and the local Broadway star. He is giving to a fault, but also knows when to ask for help should he recognize that things are beyond his control. Just don’t be an active member of the Circle. Even the most giving warlocks have a line. Shadowhunters will return with 12 new episodes in 2019 on Freeform before ending for good.